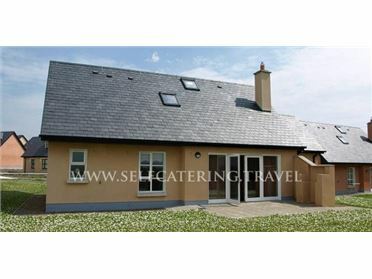 This detached property situated one mile from Fanore and overlooking Galway Bay has been furnished in a modern style throughout using quality fittings. This holiday home boasts a warming open fire in the sitting room and benefits from a magnificent setting. Accommodation is composed of four bedrooms â€“ one of which is en-suite â€“ a kitchen with dining area and a lovely lounge. There is also a utility room, a spa bathroom and a small patio area with garden furniture. The house is well positioned for access to the amenities and activities of the local area, including many wonderful walks that run from the doorstep.